A mainstream RTX option that's affordable and still fast. The GeForce RTX 2060 includes all the new technology of its more expensive siblings, at a price we can finally afford. When it comes to building an awesome gaming PC, no other component matters as much as the graphics card. Generally speaking, you can throw as much money as you want at the problem and get a fairly good improvement in framerates for the money spent—at least up to around $700 (give or take). And that's been the major complaint with Nvidia's first generation of GeForce RTX cards, with the base model RTX 2070 starting at $500. Sure they're fast, but for the price they're not really that much faster than the previous generation—at least not on current generation games. But the Turing Architecture wasn't built for existing games, we're told: it's built for the future. That future consists of real-time ray tracing effects, used to enhance lighting and shadows, reflections, and refractions—three elements of graphics that are notoriously difficult to get 'right.' Ray tracing in various forms (including path tracing) has been around for over 30 years, and it's been put to good use in a lot of films. But doing that requires rendering the frames on dozens or even hundreds of PCs, with each frame taking minutes or even hours to complete. Doing that in real-time would be awesome, and we're not there yet, but GeForce RTX is a first step to bring elements of ray tracing into games in a useable form. I've talked about all of this already, and the GeForce RTX 2060 doesn't fundamentally change anything. The big change is that the entry price point has now dropped to $349. That's still a relatively high-end graphics card price, but the performance is at least on the same level as existing $350 GPUs—like the GTX 1070 and GTX 1070 Ti (which are being discontinued now that the RTX 2060 is coming out), as well as AMD's RX Vega 56. And that's for existing games. The future ray tracing games, as well as games that use DLSS, should run substantially faster on the RTX 2060. But the pricing for each class of Nvidia GPU has clearly shifted up. The RTX 2060 takes over the GTX 1070 price, just as the 2070 took over the 1080 price and the 2080 replaced the 1080 Ti. RTX 2080 Ti meanwhile grabs the former Titan Xp price, and the Titan RTX throws sanity out the window with a price of $2,499. For some users, those prices won't really matter. AI research is one of the hottest areas in the tech industry, and Nvidia's DGX servers cost tens of thousands of dollars. Throw four Titan RTX cards into a homebuilt desktop and you can get basically the same level of performance, plus the RTX extras that the Titan V lacks, for a substantially lower price. But for gamers? Yeah, we're not going to recommend that sort of hardware to gamers that don't have extremely deep pockets. And that's why the RTX 2060 is much more exciting than the existing RTX cards. $349 gets you basically everything that's in the $499 RTX 2070, just a bit less of each. There are 30 SMs instead of 36, and 6GB of GDDR6 instead of 8GB. But to put that in perspective, the drop from the RTX 2070 to the RTX 2060 is more like the difference between the GTX 1070 Ti and GTX 1070, rather than the 1070 and 1060. Nvidia shipped me an RTX 2060 Founders Edition, which will be priced at $349, and unlike the other RTX Founders Editions, 1680MHz will be the reference boost clock for all RTX 2060 cards. Naturally, factory overclocked models will also exist. The RTX 2060 FE also uses the same basic design as the 2070, including a single 8-pin power connector and dual fans. One thing to keep in mind is that Nvidia's published boost clocks are actually quite conservative in many instances. Instead of being the typical GPU clock you're likely to see, I've found the boost clock is more often the minimum speed you'll see (as long as you're not running in a cramped ITX enclosure). Most games I tested saw clockspeeds well in excess of 1800MHz, with 1850MHz being typical. That's great for 'stock' performance, but it does mean overclocking is going to be relatively limited. I was able to add just 130MHz to the GPU core and still complete all the benchmarks in my test suite, while an extra 150MHz caused some games to crash. Generally speaking, like the other RTX cards, you're looking at a stable clockspeed of around 2000MHz, give or take. The GDDR6 on the other hand has plenty of headroom. I didn't spend a ton of time trying to find a maximum stable VRAM overclock, but adding 750MHz to the base clock (15.5 GT/s final speed) wasn't a problem. I'll have both the stock and overclocked results in the charts. Which brings us to the real reason for being here: the benchmarks and performance. I retested all the graphics cards for Nvidia's Turing launch last September, plus adding several new games since then. The new games were tested with the latest drivers available at the time, while the RTX 2060 uses Nvidia's 417.54 drivers that were provided ahead of the product launch. Note that I haven't had time to retest every GPU with the latest drivers currently available (that's several weeks of benchmarking, depending on the number of cards and games), but I wouldn't expect more than a 5 percent shift in performance, and often less than that. My GPU test system uses a Core i7-8700K overclocked to 5.0GHz to help minimize CPU bottlenecks during testing, along with other high-end components. You can see the full details in the boxout on the right. For more modest graphics cards, the test system would be overkill, but I want to ensure high-end GPUs like the 2080 Ti are able to reach their performance potential as much as possible. For this review, I've got the 12 games used in previous reviews, with results for all 25 GPUs that I've benchmarked. I've also added five more recent games, which I haven't benchmarked on six of the older GPUs. I'm including two "average performance" charts, one with all 17 games on the 'current' GPUs, and the other with only 12 games on all 25 GPUs. Testing is conducted at 1080p 'medium' quality, along with 'ultra' quality at 1080p, 1440p, and 4k. In most games the ultra preset maxes out all the options, while other games like Hitman and GTA5 don't include presets. For those, I've enabled all the extras (eg, GTA5's advanced graphics menu, other than superscaling). Some games punish cards with less than 6GB or even 8GB of VRAM at these settings, but in general the RTX 2060 should be fine. Starting with 1080p at both medium and ultra settings, I won't spend too much time on the former. The RTX 2060 comes in just ahead of the 1070 Ti, with framerates above 144 on average. A few games bring the overall ranking way up (eg, Fortnite and Wolfenstein 2), and in general the 2060 and other high-end GPUs aren't even close to being taxed. Moving to ultra quality, the rankings don't change much, though the Vega 64 and 1070 Ti now come in just ahead of the 2060 on average. It's still a solid 10-15 percent boost to performance compared to the GTX 1070, which is the card it's really replacing. It's also more than 50 percent faster than the GTX 1060 6GB, thanks to the inclusion of substantially more CUDA cores and faster VRAM, but of course it costs nearly 50 percent more than the 1060 as well. Worth noting is that every game averages 60fps or more, including even Deus Ex: Mankind Divided and Assassin's Creed Odyssey (basically—59.9 is close enough). Minimums may dip below 60 at times, but some games like Odyssey will do that regardless of how fast your GPU is. 1440p ultra is still easily viable in most games, though a few won't manage 60fps (Odyssey and Deus Ex, as you might imagine, along with Rise of the Tomb Raider). A few minor tweaks to the settings should fix that, and a good G-Sync—or one of a select few Adaptive Sync, aka Freesync, displays will do wonders for avoiding tearing and other anomalies. Overall, the RTX 2060 continues to trade blows with the 1070 Ti and RX Vega 64. 4k obviously isn't the target for most gamers—and let's be honest, it really shouldn't be. 1440p on a higher refresh rate display is a much better experience overall, so unless you have the money for a 4k 144Hz displays (in which case, you shouldn't be looking at a $350 GPU), I wouldn't worry too much about the lack of 4k performance. You could probably run low to medium settings at 4k and get 60fps in most games, but that's not a tradeoff I'd recommend. One of the big features of the GeForce RTX cards has so far seen even less use in games than the ray tracing hardware. I'm talking about the Tensor cores and the DLSS algorithm. Just to recap, DLSS uses extremely high quality 64x sampled images as the 'ground truth' for training a deep learning network. The idea is to allow a game to render at a lower resolution—half the pixels of the target resolution, as I understand it—and then upscale and anti-alias the result in real time to provide a final output that looks about the same as the native resolution with temporal AA. All that sounds great in theory, and in the one game that supports the feature right now (Final Fantasy 15, finally), limited testing shows that it boosts performance about 25 percent over TAA. I haven't done a ton of screenshot comparisons, but generally speaking DLSS looks okay. Does it look better than TAA, and is the upscaling of a lower resolution really fair? That's more difficult to answer, but for now let's just say I think TAA looks better when I compare screen captures, but if I'm just playing a game I doubt I'd really notice the differences between the two (DLSS at least in FF15 looks a bit blurrier). Swipe through the gallery above, and download the fullsize images to compare, and you'll see what I mean. 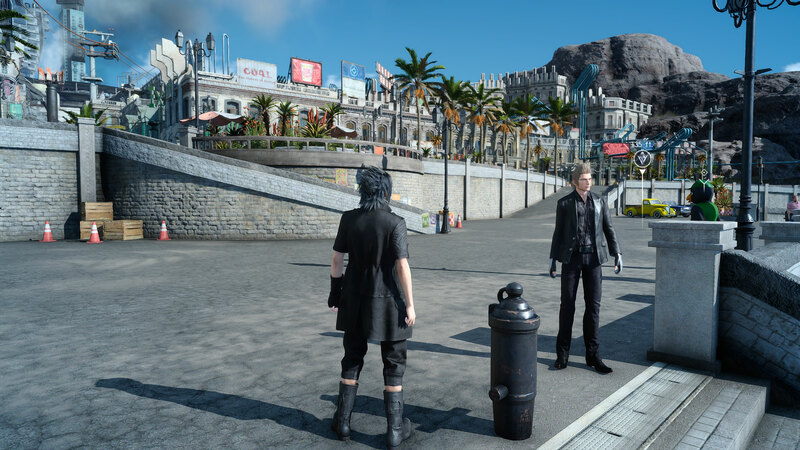 25 percent better performance sounds great, but Final Fantasy 15 at least only allows you to enable DLSS at 4k. WHAT!? Yeah. That's seriously a disappointment, considering I just mentioned above that I don't think 4k is worth using for most gamers—and certainly not on the RTX 2060. So the one DLSS game currently available is even more disappointing in terms of implementing the tech than Battlefield 5 is with ray tracing of reflections. But here's some interesting news: Battlefield 5 is getting DLSS support as well, in a future patch. And Nvidia says the DLSS in Battlefield 5 is 'better' than what's offered in FF15, which means maybe it won't be as blurry and will work at resolutions besides 4k. So when will the DLSS patch arrive? Hopefully by the time the RTX 2060 goes on sale, but based off past experience I wouldn't hold my breath. Something else to consider is that DLSS needs to be trained for each game, at least with the current implementation. Will Battlefield 5 allow me to use DLSS but without DXR? 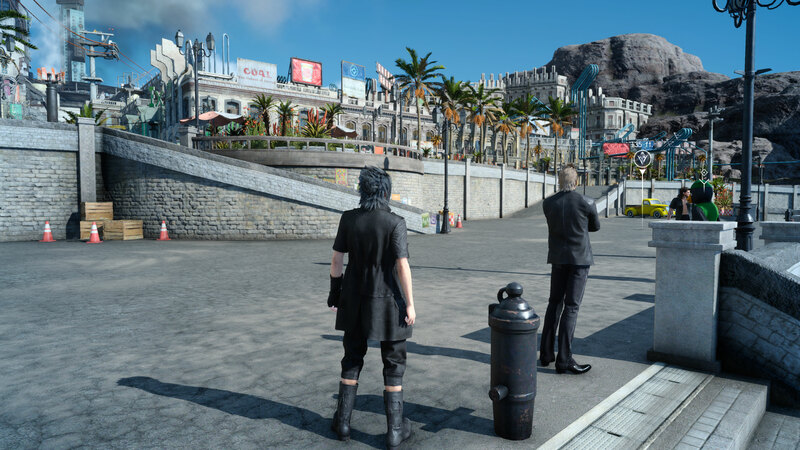 And will it need to have DLSS trained in both DXR (DirectX Raytracing) and non-DXR modes to get optimal results? I don't know. In the meantime, Nvidia provided some preliminary numbers for Battlefield 5 DXR performance with DLSS, running on the RTX 2060. The basic takeaway is that the performance hit you take by enabling DXR reflections—which is about a 30 percent drop in framerates—is mostly negated by DLSS. I've even heard rumblings that Nvidia may try hard to persuade all game developers that implement ray tracing to also implement DLSS. Which will make comparisons perhaps even more messy, especially if/when AMD starts to ship GPUs that support DXR. Dropping the price of the RTX line to $349 goes a long way toward making the RTX 2060 a more attractive part than its siblings. All of the cards are fast, but with the jump in generational pricing it's tough to imagine gamers wanting to upgrade from a GTX 1070 to an RTX 2070. If you need a GPU, however, the GTX line is on its way out, and with the RTX 2060 Nvidia will probably only keep the GTX 1050 and 1060 cards around for the time being. And maybe we'll even get an RTX 2050 later this year—it seems inevitable, especially once more games start using DLSS. In terms of value right now, AMD's RX 570 and RX 580 are tough to beat if you're only looking at GPU pricing and performance. For the US and UK markets, the 570 is especially attractive as a budget option that costs less than $150. Looking at the cost of a complete midrange PC (around $800 for the base PC, not including the graphics card), however, and the faster GPUs rise to the top, with the RTX 2060 claiming the top spot in the American and European markets. Plus you can get a copy of Battlefield 5 with the 2060—assuming you don't already have it, that's a nice extra. The RTX 2060 is by far the easiest of the RTX lineup to recommend. It's not just the lower price, it's the fact that performance is still good. It typically matches the GTX 1070 Ti, and that's without DLSS and DXR. If (dare I say when?) those catch on, it will become an even better bargain. It's not a perfect graphics card, as I noticed enabling DXR in Battlefield 5 caused a bigger hit to performance at 1440p and 4k than on the other RTX models. That might be simply because prior to now, all of the RTX cards had at least 8GB VRAM, but we'll have to wait and see. Is the RTX 2060 worth buying, and should you upgrade your current graphics card? As usual that depends. Moving from a 1070 to a 2060 would be pretty pointless, but upgrading from a 970 or lower would give a substantial boost to performance for a reasonable price. I still wish prices were a bit lower, though, as an Nvdia "60" GPU going for $350 feels a bit too much like the cryptocurrency-induced pricing of 2018. Let's hope street prices fall a bit closer to $300 on the basic models. 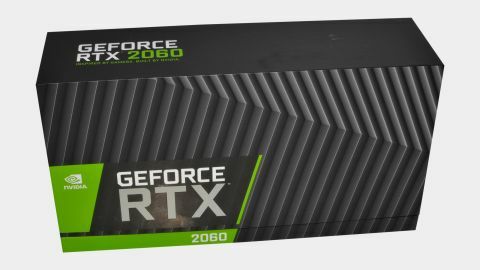 The GeForce RTX 2060 officially goes on sale January 15, with preorders starting today. If you've been holding on to an older GPU looking for a good time to upgrade, the RTX 2060 is the best upper midrange card (or lower high-end card) that we've seen since the 1070 Ti.